CFH Clearing has appointed Andy Biggs as Head of Liquidity. He is joining the company after spending the past four years at IS Prime. The newly created role aims to strengthen the analytical focus onto the liquidity offering of the company. 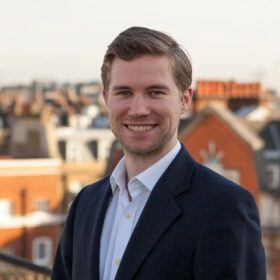 Biggs has been working in senior roles in the FX industry since 2012 when he joined ICM Capital and later spent two years at Sucden Financial in a senior institutional sales role. As a Head of Liquidity and Risk Analysis at IS Prime, he was instrumental in building the IS Prime liquidity offering from the ground up. In the newly crafted role, Andy will manage CFH’s teams based in London and Hong Kong. Separately, he will liaise with the technology team of CFH, which is based in Copenhagen. His responsibilities include but are not limited to developing CFH’s liquidity suite, advising clients on the most appropriate tailored liquidity solutions and managing relationships with Liquidity Providers.